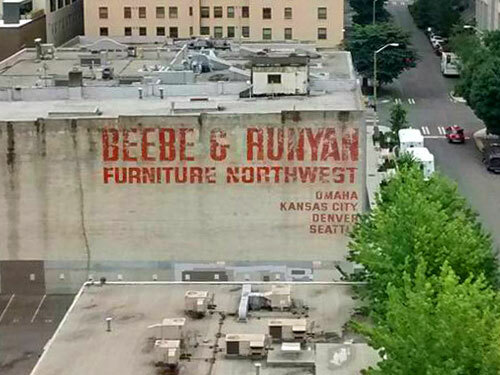 The ghost sign for Beebe & Runyan Furniture Northwest is located at 2014 9th Ave. in Seattle’s Denny Triangle. Now a Cornish College of the Arts building, this was once part of a company whose veritable empire spanned Omaha, Kansas City and Denver. 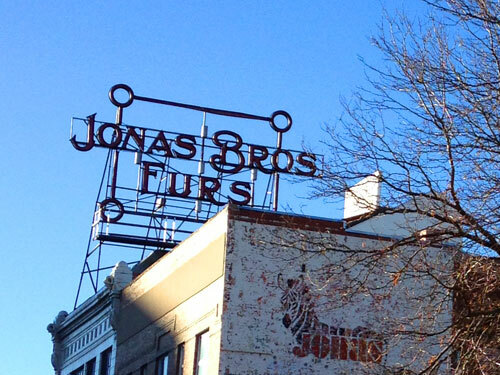 No, not those Jonas Brothers… This is a two-in-one ghost sign for Jonas Bros. Furs, spotted on Broadway between 10th and 11th Aves., just south of downtown Denver. It’s the end of yet another awesome year — our travels took us to National Parks, site-specific installations, and quirky museums, and through some incredible buildings. 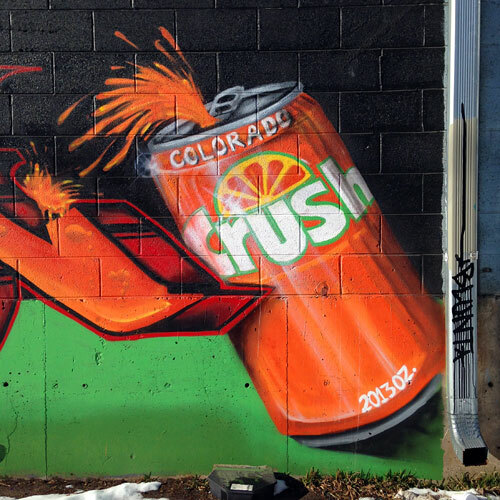 We started the year in Denver, where we peeped Colorado Crush, an annual celebration of hip hop culture. Located at 16th and Arapahoe Sts. 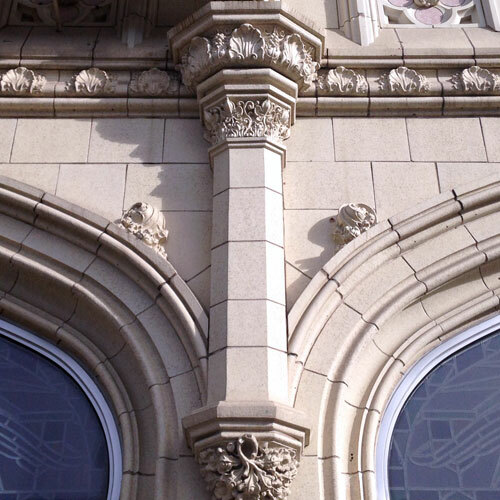 in downtown Denver, the Daniels & Fisher Tower was designed by London-born Frederick Sterner and built in 1910 as the tallest building west of the Mississippi River. In this case, the ghost signs are the pretext for the post, but the building is really the focus. Gart Bros. Sporting Goods Co. was once located in Denver at 1000 Broadway, which is still a sporting goods store. What a beauty of a building! 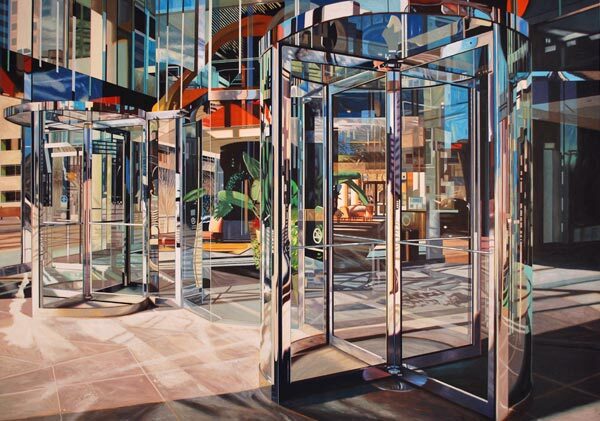 Robert Gratiot is a Denver-based artist who works in diverse media, but I’m partial to his photorealistic landscape paintings that focus on the hard edges and reflective surfaces of city buildings. 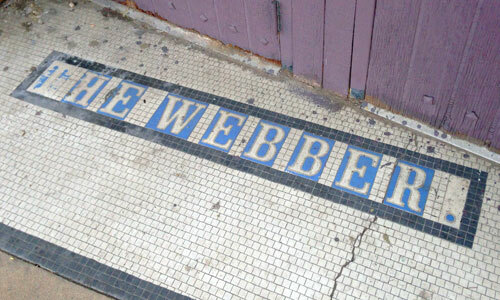 The old Webber Theater is located at 119 South Broadway in Denver, and its entrances feature really pretty tiled lettering, although the spacing is overkill in my book.